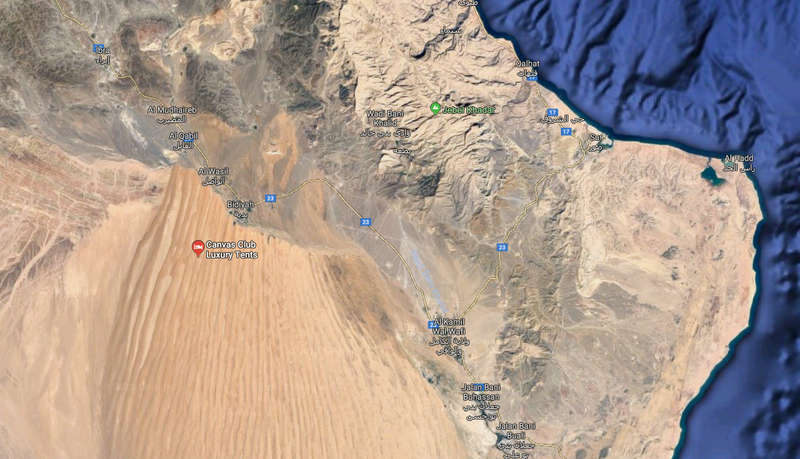 [WAHIBA SANDS, OMAN] — We’d been driving all day when we pulled into the scruffy desert town of Bidiyah. My guide Zubir pulled off to the left side of the road and rolled to a stop in a small gas station, a cloud of dust chasing us to a stop. Two dark Indian men had been waiting for us, squatting against a wall. They knew we were in a hurry, so when he rolled in, they were quick to tackle each tire, twisting off the caps to the air valves and immediately started letting air out of the tires. SSSSssssssssssss. “The tires work better in the sand if they are flat” Zubir said. We’d covered a lot of ground that day, Zubir had picked me up at 8am, so he went to get a takeaway coffee. I was, as usual, looking down at my phone when I jumped at the knocking sound against my window. The two Indian guys were inches from my face, beaming with partially-toothed smiles. I opened up the door and slid out. “Where are you from? English?” “The States.” “Ahhhhh. American. Not many Americans come here.” they replied, staring-ly, shaking my hands close, “We are from Kerala. In India.” — as it seemed, nearly every Indian worker I met our here in the desert was from the watery southern state of Kerala. They agree to meet at this same spot at 5am tomorrow morning so we can make sure the station is open to refill our tires before we head back north. Into the Wahiba Sands desert from YouShouldGoHere on Vimeo. 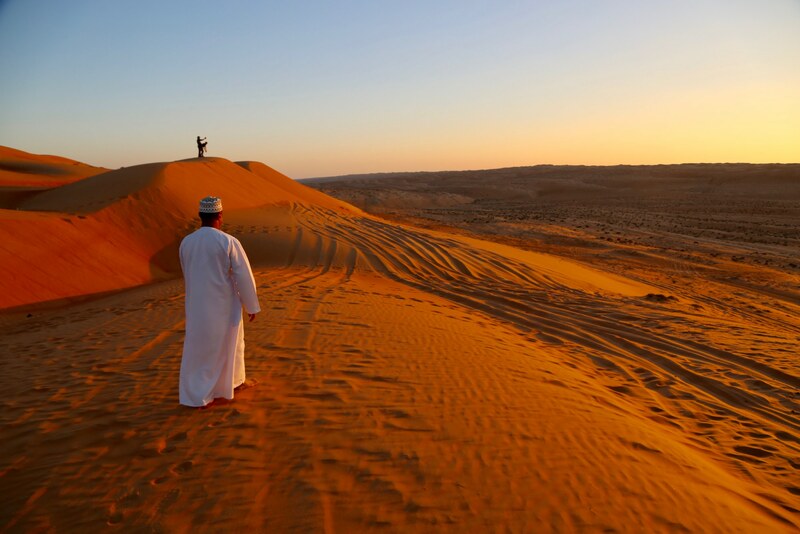 I had a well-laid out plan for my trip, a leisurely two week stroll through incredible Oman, nothing jammed packed or rushed. But while everything was convenient to ME, what I did’t consider was other people had plans, too. I had planned to go to a private tent came in the Wahiba Sands desert for one night, then head up to the must-see city of Nizwa, where on Friday mornings only, they had an amazing goat and cattle auction. The idea was to sleep under the stars in the desert, swing by the Wadi Bani Khalid (in previous post) and then shoot up and watch the auction. What I didn’t realize was in Oman (and most Muslim countries) Fridays are the most important day of the week and EVERYTHING shuts down for midday prayers by 11am. And besides the Goat Action that started at 7am, Nizwa had a cool souk and has the coolest fort in Oman. So much to do before 11am! And Nizwa was at least two hours away, which means we’d have to leave the desert by 5am, when it was still dark. So we had go flip the schedule around and cram two days into one afternoon on the way to the desert. We were in a race to get to catch the dunes before sunset. 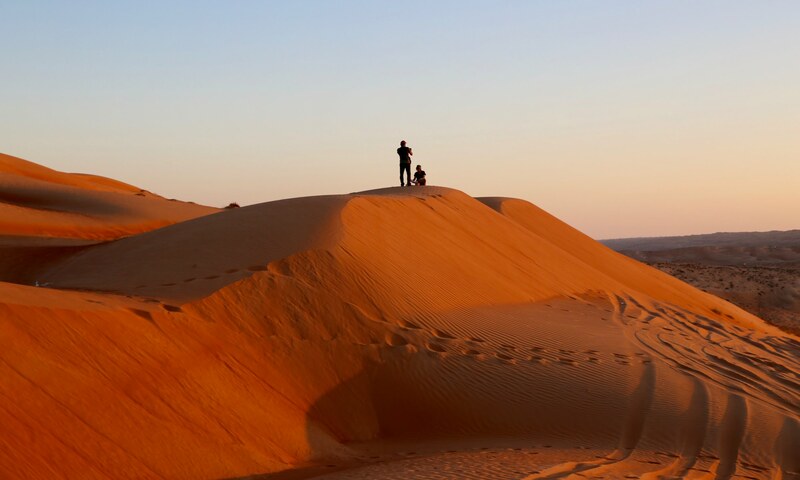 As we pulled up to the Canvas Club Luxury Tents, the British manager of the camp, Sam, said I was too late for the sunset camel ride to camp through the dunes, it was only minutes before the sun sank. I was totally bummed. With that, Zubair firmly tightened his Omani cap, revved the Land Cruiser engine to 6,000 RPM and we took off straight up the dunes, cutting the two hour camel ride down to seconds. My fantastic guide, Zubir, appreciating the sun as it sets. I do not know these people…. they were just kinda there. Wahiba Sands sunset pan from YouShouldGoHere on Vimeo. 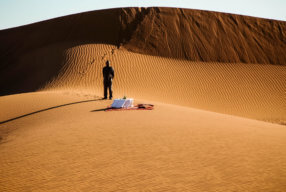 But my travel agent Scott Dunn Travel recommended a new upstart in the Wahiba Sands called Canvas Club Luxury Tents, a 3 year old German-based company. 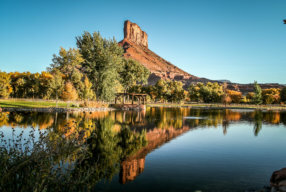 What makes them different is they reserve the camp just for your group, while the others can billet 20, 30 or 50 or more people. You have the whole posh camp to yourselves. 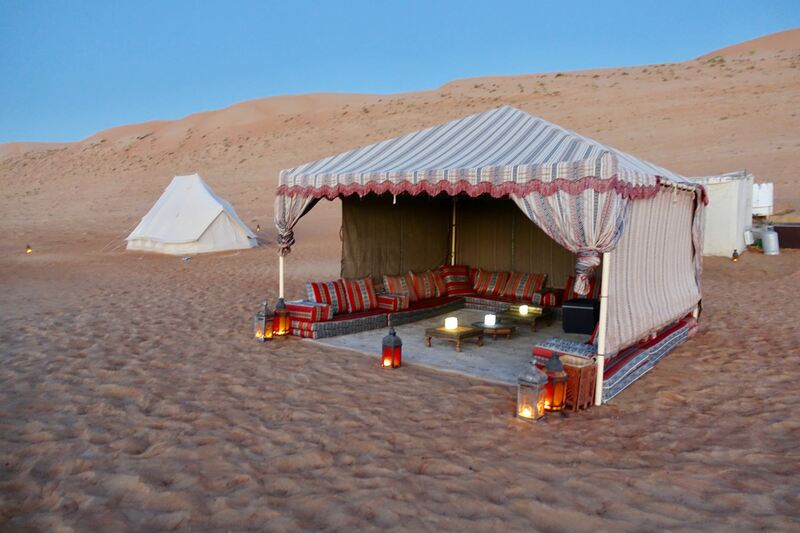 They have fine-made tents from Belgium, kitted out with antique Omani Bedouin touches. 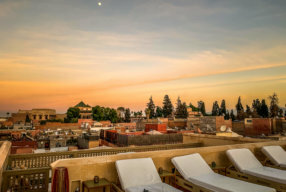 But the ornate fabrics hide the posh beds and sheets underneath — the same beds as the Ritz-Carlton uses… out here in the middle of the desert! I slept like a dead cat. 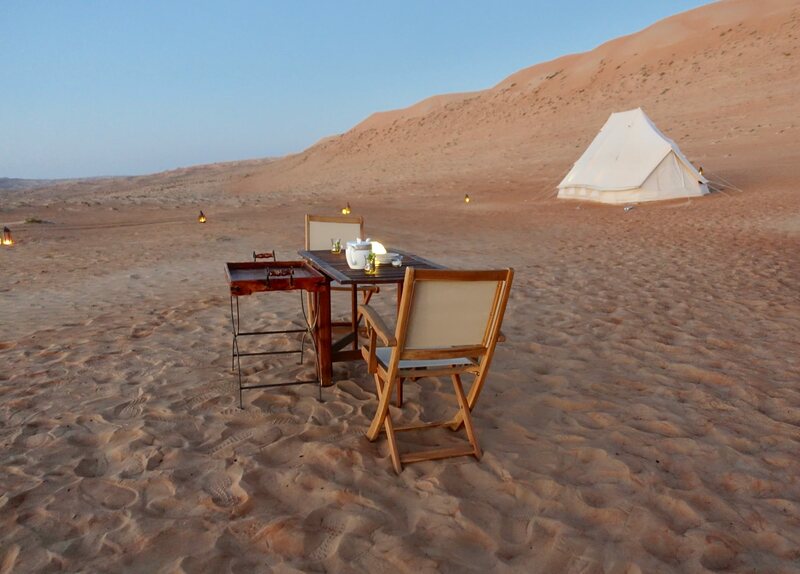 But my travel agent @scottdunn_travel recommended a new Oman upstart called Canvas Club Tents, a 3 year old German-based company. 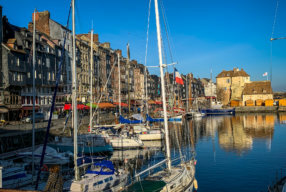 What makes them different is they reserve the camp just for your group, while the others can billet 20, 30 or 50 or more people. You have the whole posh camp to yourselves. They have a separate tent for another couple, kids, etc. 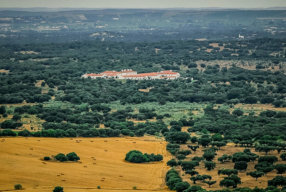 The camp is run locally by an spry Englishman named Sam, who has the appropriate exuberant personality of a young Peter O’Toole in Lawrence of Arabia. Sam built this camp from scratch and continues to look after your every need. 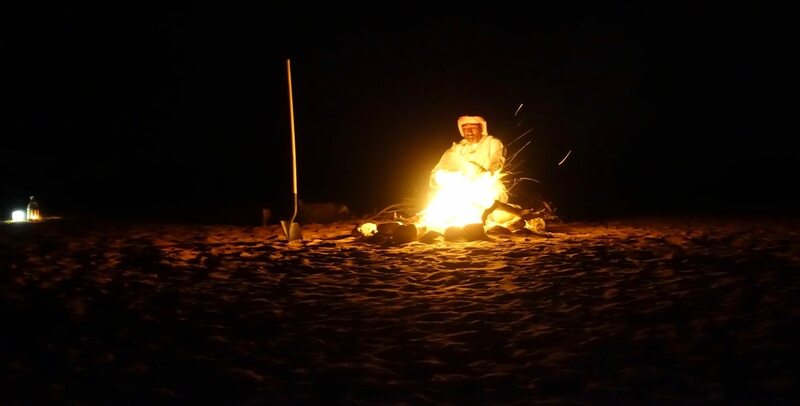 He and his delightful sidekicks (Aussie Colin, Bedouin Ali and that other Aussie guy I can’t remember) are there to take care of you, cook amazing meals, tell fireside stories and be on scorpion patrol. If you’re thinking of a desert camp, google their setups first. Some have dozens of tents. Some are pretty threadbare. You don’t want to come all this way and have a bachelor party in the next tent hooting and hollering into the night. What makes Canvas Club great is that they save the whole camp for one party at a time. A family. A couple of families. A couple. Or just me. 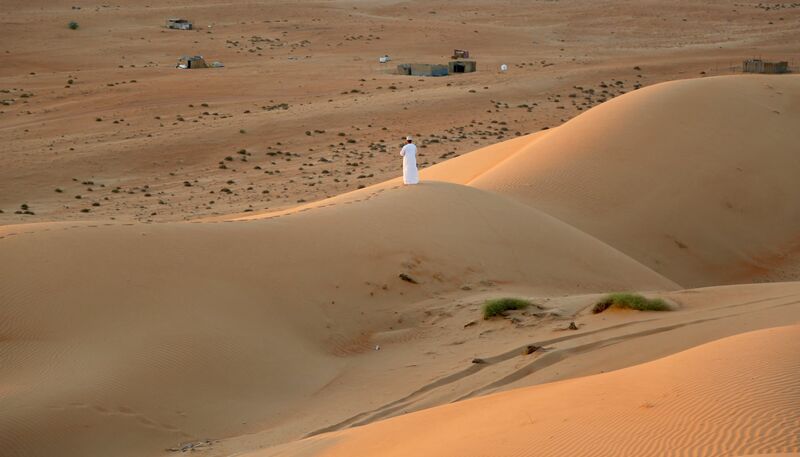 The whole private camp is set into the dunes to protect you from the night winds. And it can get windy, although I was very lucky. There’s a main dining tent and hangout area, an open top bathroom so you can shower under the stars. And then a couple of private tents for your group. As customary everywhere, you are greeted with some lemon mint tea. Sam tells you all about the camp and looks into your desires and goals for the evening. They are there to make it happen. Ali starts making a fire while Colin starts in on dinner, dishes clanking from the kitchen tent on the far side of camp. After the sun sets, a pinkness falls everywhere. On the sand, you clothes, the tents, your hands. So peaceful and lulling, the coolest glow, ever. Ali moves to light all the candles spread about. The silence is deafening. All you can hear are the fwop-fwop-fwop of everyone’s dishdashas as they trod through the talcum power pink sand. The wind started to pick up, so we decided it was best to eat inside. Out of the dark they appeared, bringing trays of steaming food, setting up the table in the flickering light of the tent. The sun dipping over the dunes is just amazing how it casts ever-changing spectrums of color — from orange to pink to blue to purple to black. 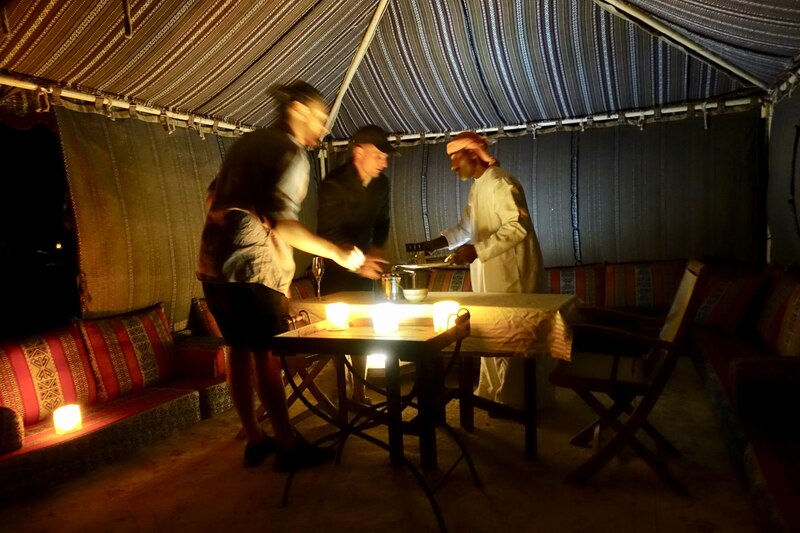 They have a cool bedouin dining tent where you can relax, sitting on the Omani couches on the ground. As it turns to darkness, the tent becomes a beacon for the whole camp. Like a big lantern. As dinner approaches, the boys scurry about setting up the perfect meal. As the winds picked up, we moved inside and pulled the flaps. Quiet. They even cooked the roasted veggies in the campfire. It was nearly a full moon, but they say when there is no moon, you can practically see by stars. You can see a faint glow of Bidiyah nearby. Sam warned me: “In the desert, people tend to get tired very quickly and go to bed very early. Some say they have the best sleep of their lives.” He was right. It happened. I was down by 9am and slept like a dead cat. The bathroom tent looks a little homely on the outside, but once inside it’s cozy as can be, with antiques and bedouin things making it homey. The open air to allows you to shower (or poop) in the great white open skies. These are the constellations we were looking at. Amazing how the app StarWalk can work so perfectly without a cell signal — there are no phones out here. You just hold it up and it shows you what you’re looking at, even space stations and satellites you can see scooting across the brilliant dark sky. I love your style of travel. 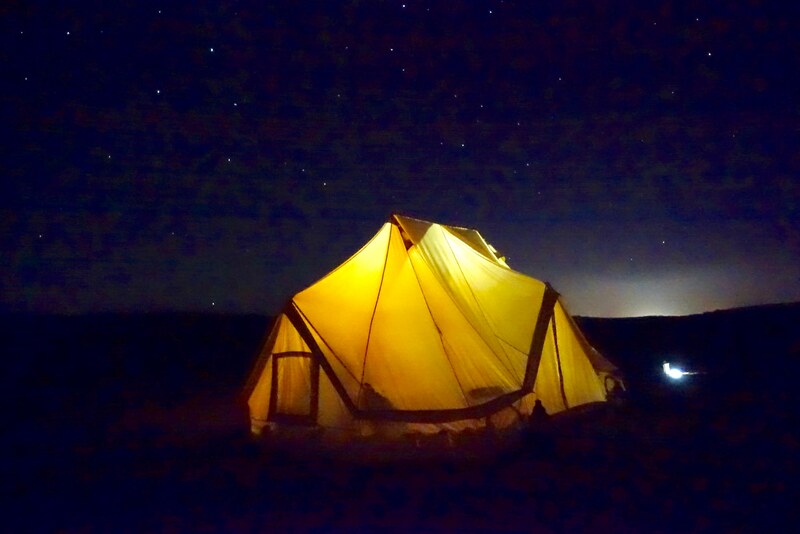 We stayed in a desert camp but it wasn’t as luxurious as yours, but it was still an amazing adventure. 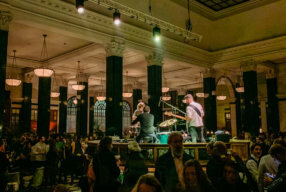 I am loving your blog and photos. Oh cool!Thanks for writing, that just made my day/week/month/year. Loved watching your trip, you got to do some amazing things! 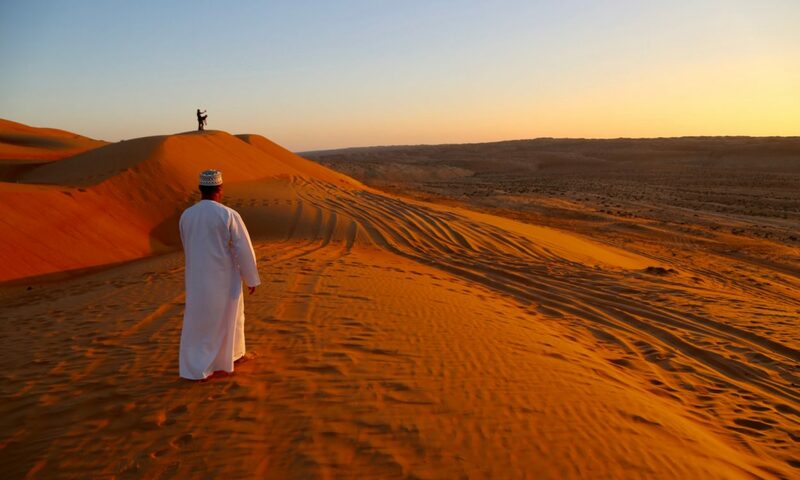 Love Oman.